The Walima Cooking club celebrates Iraqi cuisine for the month of August with 3 palatable delicacies(one savory and two sweet).Thanks Arlette for the delectable picks. Iraqi cuisine or Mesopotamian cuisine is Iraq's traditional cuisine developed since antiquity in MeMesopotamia (Sumer, Akkad, Babylonia, Assyria). It is considered one of the oldest kitchens. As Baghdad became the centre of the Abbasid Caliphate during the Islamic Golden Age, Muslims and other scholars from many parts of the world came to visit, live and study in Iraq, which gave the Iraqi cuisine new twists to its food. This is most commonly seen in the greater use of spices (e.g. Saffron) used in the Iraqi cuisine in comparison to other Arab cuisines. Iraqi cuisine has absorbed influences from all the neighboring countries and has much in common with Levantine, Persian, and Turkish cuisines. With the Ottoman rule of Iraq, influences of Turkish cuisine also became incorporated into Iraqi recipes (and vice versa). Furthermore, as the rest of Iraqi history, the Iraqi cuisine has been deeply influenced by its fertile land between its two rivers Euphrates and Tigris. This influence is seen in Iraq's national dishes. The wraps turned out to be one of best tasting eggplant appetizer.Usually made with minced meat ,but one can also stuff with vegetable like mushrooms or with tofu and flavor up with choicest spices. Trim off the top and bottom of the Egg plant. 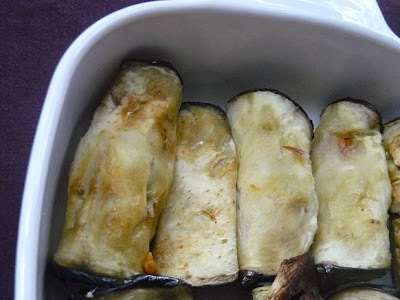 Place eggplant slices on baking sheets lined with foil and brushed with oil. Bake in the oven at 350 degrees for approximately 20-30 minutes until brown, turning the eggplant halfway. Mix together the ground meat, onion, spices,salt and pepper. Divide the meat into sausage shaped portions 1" thick and 2" long. Place a portion of the meat stuffing at one end of an eggplant slice and begin wrapping the eggplant around it. Heat oil on medium high heat in a pan and saute the vegetables with garlic and spices for about 5-6 minutes until soft,season with salt and pepper.let cool for a minute or two.place the about a tablespoon of stuffing ,sprinkle cheese on the eggplant slice and wrap it. Place the rolls in a baking dish and layer the tomato slices on top (optional). In a saucepan heat 2 tbsp oil and saute the diced onions. When soft add the chopped tomatoes, salt, pepper and turmeric. Add tomato sauce, stock and lemon juice to taste. Cover and simmer 15 minutes. Pour the sauce over the rolls in the baking dish, cover with aluminum paper and bake for about 40 minutes at 375 degrees for meat stuffing or 30 minutes for vegetables stuffing. 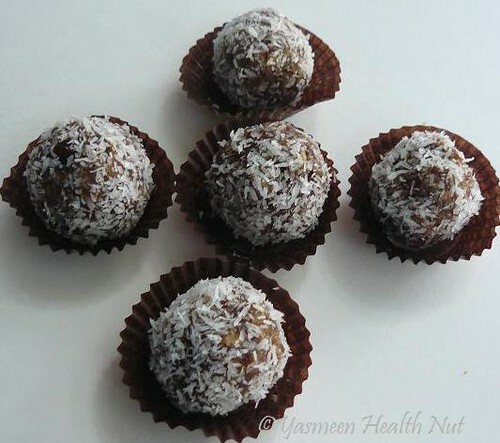 Sweet and nutty,these morsels make a nutritious dessert after a spicy meal. Makes about 20 small balls. Add dates, ½ cup sesame seeds, and tahini in the food processor. Pulse and add the walnuts and spices; pulse again. Take the mixture out and make small balls and roll them in toasted sesame or shredded coconut. 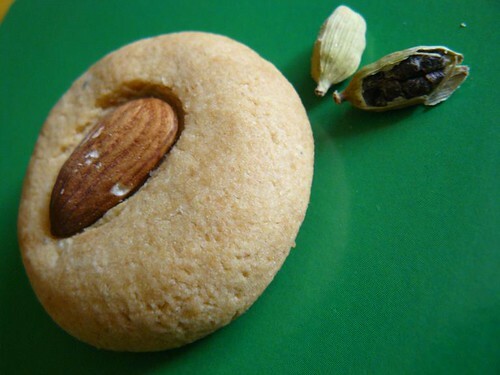 Buttery melt in the mouth delicious,the cardamom imparts sweet scent and exotic flavor to the rich cookies. Beat the butter in a bowl for 3 minutes. Add sugar and beat the mixture until becomes light in color. Add flour, cardamom and salt gradually. Use your hand to mix the cookie dough. Take a small piece of dough the size of walnut. 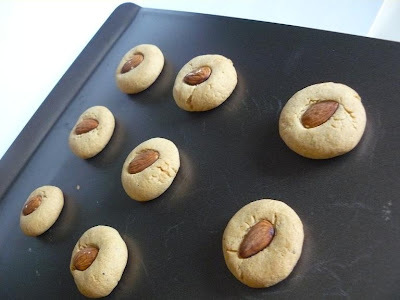 Shape the cookie and place and almond in the middle. Arrange on a tray with parchment paper or silicon pad. Bake for 20 minutes in 350 degree oven. All the three dishes look Yummy and perfect. I just made cookies and date balls. Have to post them soon. Three wonderful specialities! I love Middle Eastern food! Everything looks so good! Those date and walnut balls look delicious. Should try this. Ramzan greetings. They are all well done, good job Yasmeen. Thanks so much for introducing us to Iraqi cuisine! The eggplant wraps sound fantastic and so do the sweets! Yasmeen, each one of those preparations look outstanding and extremely yummy. Jazakallahu khairun for sharing. Bookmarked it to try. Totally new ,terriffic ,yummy recipes!!!! in the last two weeks or so,I didn't really manage to check many blogs,so I missed the fact that it was your birthday.I really want to wish you everything good for yourself and your family.May Allah bless you in every possible way! Come...let mu give you a hug =)! Oh,and thanks for the recipe from the previous post.I've always thought of the Dobos Torta as something very elegant and so old Europe. 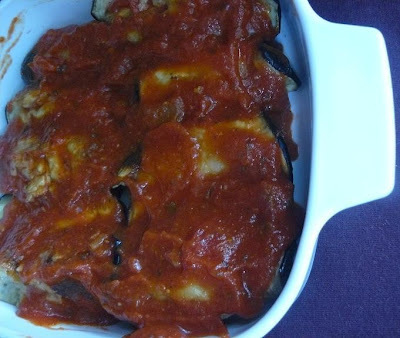 Thanks also for the eggplant recipe.I just love eggplants :)! And,last but not least:Happy Ramadan my sweety! amazing recipes!! I loved eggplant dish very much... a totally new dish. love the date sesame balls..cookies looks yummy too..
all three recipes are so good. i make the date balls slightly differently , eggplant wraps look so interesting. 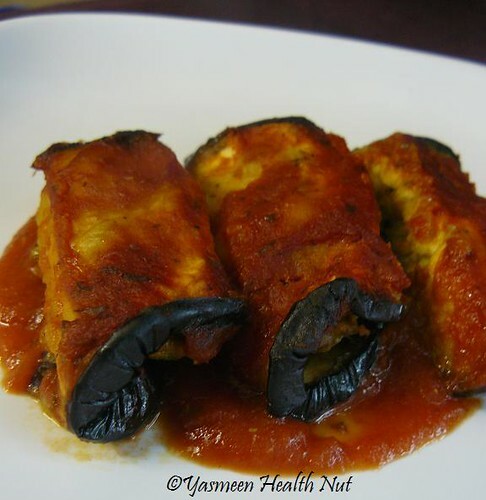 Loved eggplant wraps, looks tempting! Date balls and cookies too look perfect, very nicely presented! All wonderful. I love those cookies. Cute as a button.Love clubs like this.Good to know more abt international cuisine. 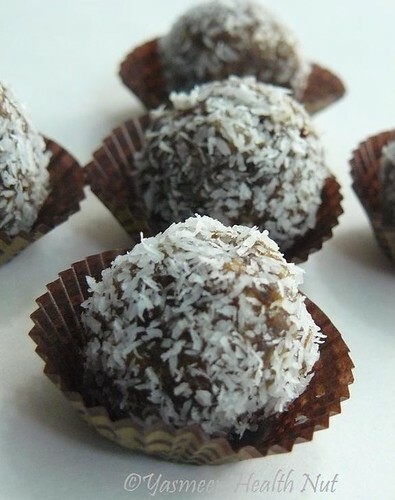 Oh my, those date balls look so good! any tips on buying good dates? Oh wow, I don't know where to start - it all looks SO good! Cardamom is one of my favorite spices so I know I'd love the cookies and the eggplant rolls look amazing! I only mad the date balls, because I posted both of the other recipes earlier. Your three dishes look great. Too bad that you can not send more than pictures through e-mails. Thanks for stopping by my blog. I just discovered Waalima cooking club on your site - looks like fun and so informative. 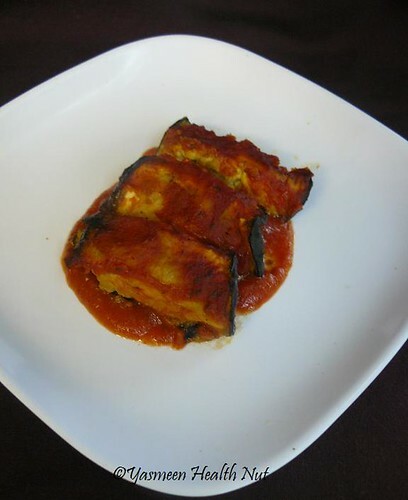 I had to try these eggplant wraps - they were so delicious!!!! !Huge hit for dinner tonight! Thanks for sharing your Walima challenge...your photos look great and i am sure the food tasted great too. Have a wonderful night.